We’d love your help. Let us know what’s wrong with this preview of Cartooning the Head and Figure by Jack Hamm. 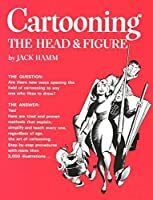 Here are tried and proven methods that explain, simplify and teach every one, regardless of age, the art of cartooning. Step by step procedures with more than 3,000 illustrations . . .
To ask other readers questions about Cartooning the Head and Figure, please sign up. It exceeds it's value for money by a hundred times. All pages are Black & White. They are Jam packed with valuable information and numerous sketches. All facial muscles have been explained and the chapters on facial expression, posture and motion are fantastic. Its a "must have" for artists interested in cartooning and caricature. Definitely fun to flip through and really see the Jack Hamm-style cartoons broken down to their elements. Not exactly helping as a guide for new artists, however. If you're a fan of classic newspaper funny-style art worth checking it out. But, if you're looking for a manual to teach techniques, mayeb check out another title! This is a timeless, must have, for any artist. I consider it one of the most influential artist books I own. A fairly neat little book on cartooning. The layout can be a bit confusing and some of the pages are of dubious worth, but overall it's almost worth the price alone just for all the reference drawings and the handy tips squeezed into the margins. I strongly suggest you grab Hamm's Drawing the Head and Figure at the same you get this. Even if you do just want to focus on drawing slapstick-style cartoons, it contains some useful pointers about the human face/figure not included here that will impr A fairly neat little book on cartooning. The layout can be a bit confusing and some of the pages are of dubious worth, but overall it's almost worth the price alone just for all the reference drawings and the handy tips squeezed into the margins. A seriously useful cartooning book! no seriously! A fantastic resource, full of exhaustive detail. I picked it up at the library, so I hope I can find it online (it being over 40 years old at this point. New level of excellence. Old school dated 1967. Every muscle, every bone, every part of every expression explained. More emotions in drawings than in real people. Stunning. 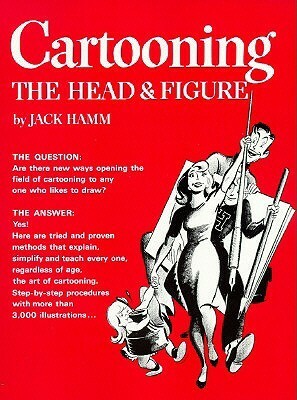 Jack B. Hamm was an artist who is recognized both for his Christian-themed artwork and editorial cartoons, and for his books on drawing technique. He both studied and taught at the Frederic Mizen Academy of Art. As a cartoonist and comic strip letterer, he worked on the "Bugs Bunny", "Alley Oop", and "Boots and Her Buddies" comic strips before attending Baylor University to study theology. 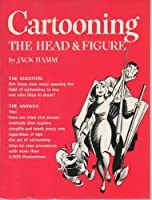 He taug Jack B. Hamm was an artist who is recognized both for his Christian-themed artwork and editorial cartoons, and for his books on drawing technique. He both studied and taught at the Frederic Mizen Academy of Art. As a cartoonist and comic strip letterer, he worked on the "Bugs Bunny", "Alley Oop", and "Boots and Her Buddies" comic strips before attending Baylor University to study theology. He taught at Baylor both before and after he graduated in 1948. Jack Hamm started drawing at 5 years old. Hamm went to Frederick Mizen Academy of Art c. 1936-1941. After finding success in cartoons, he was offered his own creation to which he turned down in order to study ministry at Baylor University from 1945 to 1948.